Best chicken thigh recipe by Karlas Nordic Kitchen - Search no more! I call this the best chicken thigh recipe becauce it’s super easy to make and contains all my favorite ingredients. I LOVE cauliflower and especially when it’s oven baked. 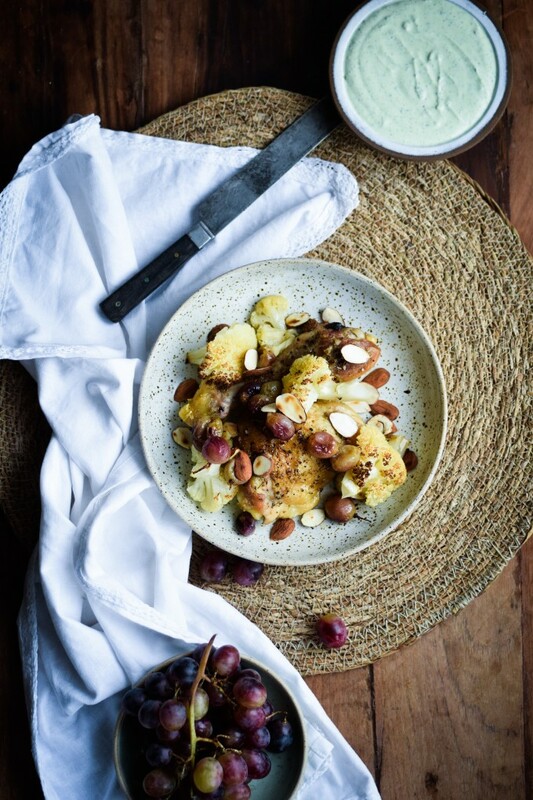 And together with grapes, almonds and a yummy basil dressing this dish just rock my world. I’m actually that big a fan of cauliflower that I literally always have it in my fridge. The best thing is when it’s cauliflower season here in Denmark and I can get them “almost” straight from my neighbours’ garden. 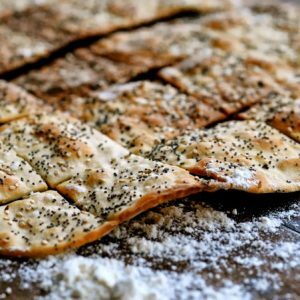 But I can settle with the organic ones from the south European countries any other time of the year, so I can make my favorite Pizza with cauliflower crust or of course my best chicken thigh recipe. Looking for the best chicken thigh recipe? This is the one! Place chicken in a large oven proof dish. Toss with olive oil and sprinkle with oregano as well as salt and pepper. Bake chicken thighs at 225 gr. (435 F) For 10 minutes. 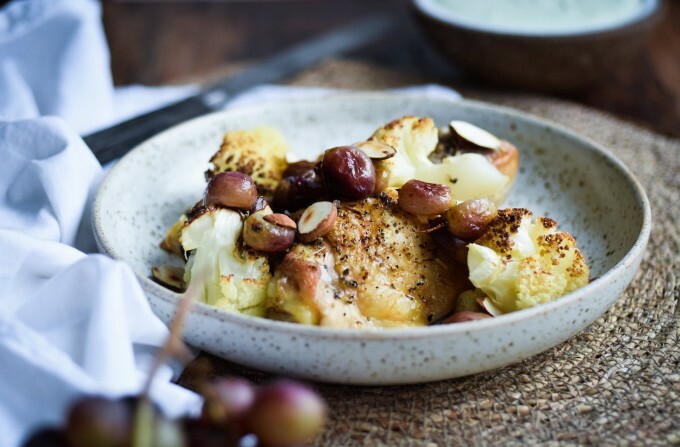 Cut cauliflower into medium-sized bouquets and place them and grapes in the dish with the chicken thighs. Sprinkle again with oregano and salt and pepper. Put it back in the oven for approx. 35 minutes. Meanwhile, blend Greek yogurt with fresh basil, garlic, a little nutmeg and cayenne pepper. Season with salt. 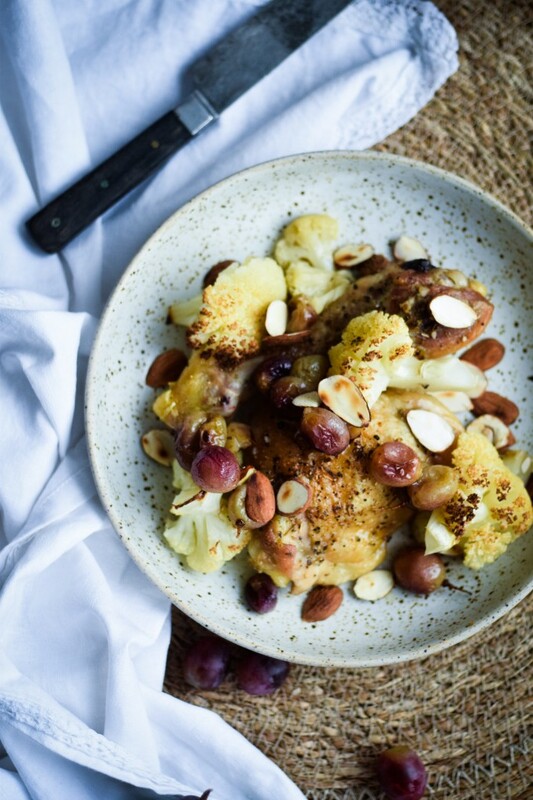 Serve your chicken in the dish, sprinkle with toasted almonds and serve with the basil dressing and brown rice. This chicken recipe takes no time to prep. About 15 minutes and then you can sit and relax with a glass of wine, while the food is cooking in the oven. Love that. That’s how I like to cook! 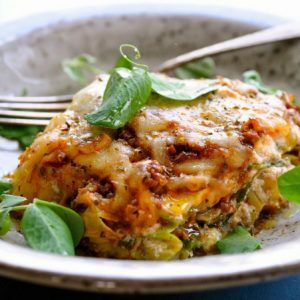 The 3 main ingredients just goes into the same dish and then bake for 45 minutes. Dinner is ready in an hour and the time you used for prepping was minimal. Also the ingredients are very child friendly. 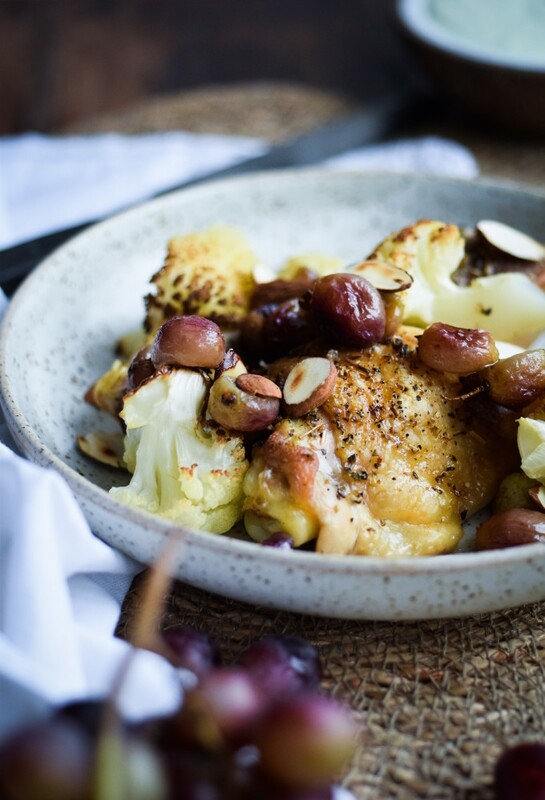 My son, who’s 2, loves chicken, cauliflower AND grapes, so this dish is a total win for him. And if he’s happy I am too, which you’ll probably would have guessed.